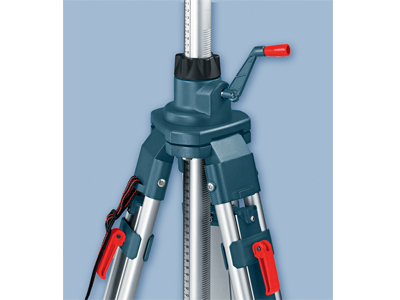 Bosch BT300 heavy-duty aluminum elevator tripod extended height 110 In., closed height 47 In., includes: heavy-duty poly webbing shoulder strap. 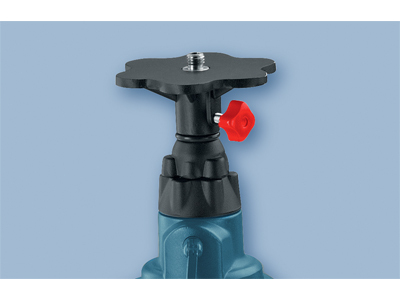 Lightweight, heavy-gauge aluminum design. 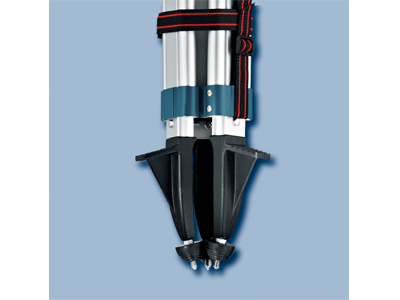 Quick-release tripod - with two-section adjustable center column.